Usually when all the critics love a place, I don’t. Or if it’s one certain dish, it doesn’t live up to the expectations. Not so at Batard. Of course, we didn’t go with the octopus pastrami – having had tons of octopus in Maui and thinking this was likely overrated. 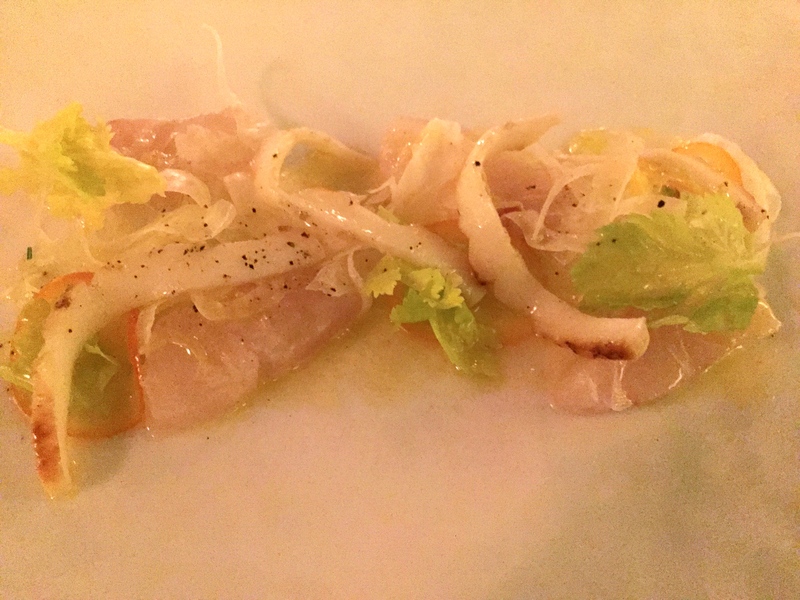 Instead we tried the red snapper crudo, served with thin strips of calamari, fennel and oranges. Every component stood out and the balance of flavors was perfect. The tete de cochon was the other choice. Rolled in panko it was crispy, not unctuous and well-seasoned, besides being plated beautifully with radishes and arugula. I would have liked more of the sauces that accompanied it, but less is better than more I suppose. 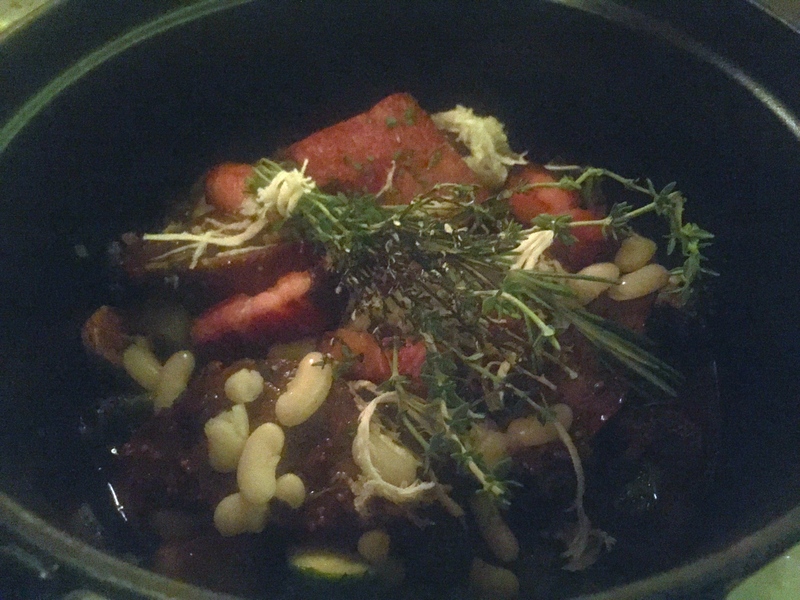 On a recommendation, we opted for the beef cheek pot au feu for two. I cannot imagine ordering anything else. In fact, I’m still dreaming about this dish filled with tender meat and smoky bacon. Every part of it was incredible. Rich but not overkill. This is about a quarter of the dish. 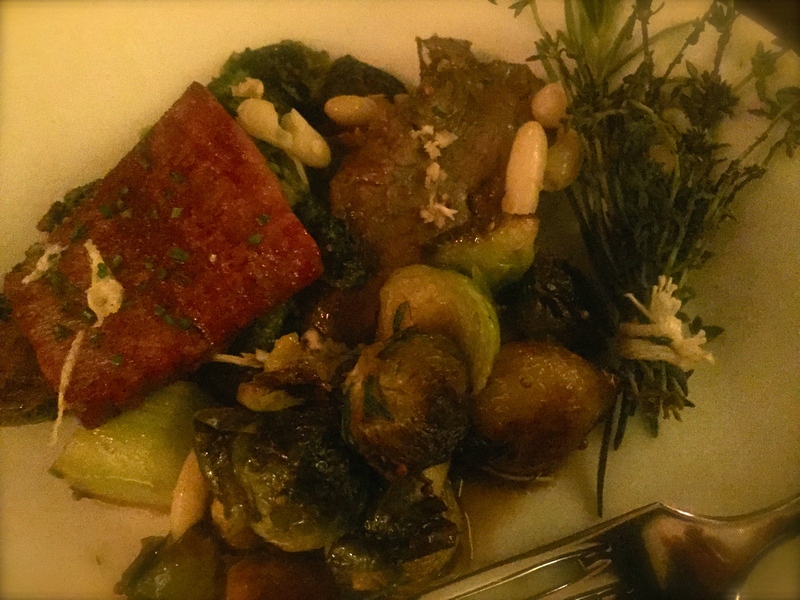 Brussels sprouts and onions were caramelized in balsamic vinegar. Fortunately, it was a very nice portion so we didn’t have to fight over dividing it up. They were out of the milk bread dessert (that seemed surprising for an 8pm reservation), but we were so full anyway. I’d definitely go back (huge praise from me!) and am looking forward to seeing what the spring menu has in store. For wine, the Austrian chef has a few bottles of Austrian reds on the list that seem a little too light for the cooking. Having just tasted several the prior week, I decided on a very reasonably priced French bottle- the wine list can get quite expensive quickly, and by the glass is not cheap- so opt for a bottle anyway. Several servers asked for drink orders, checked on our meal progression and poured our wine. The sparsely decorated dining room, with beechwood tones and low lighting, let the food shine. We could have an actual conversation with the background buzzing, but not too loud. 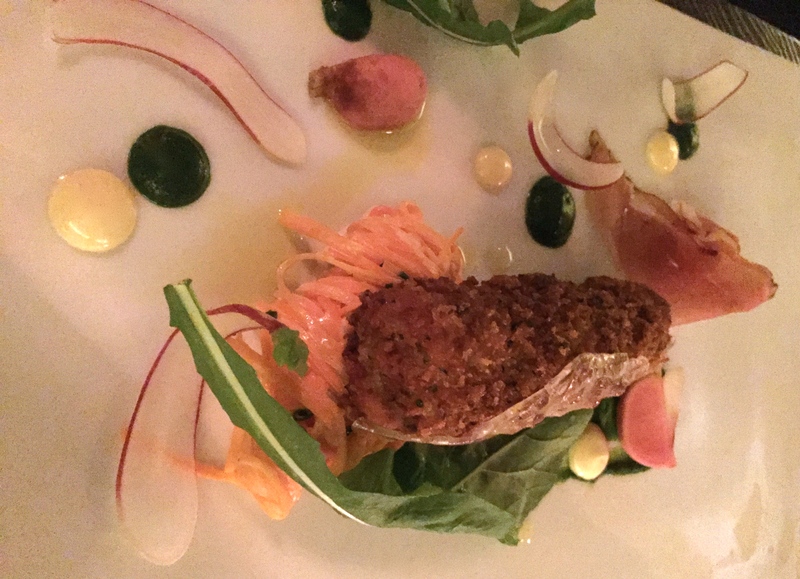 No tables were close together, and we never felt rushed, a refreshing change from every place else I’d dined recently. In fact, there were a number of empty tables and lingering diners. The crowd was not definable – a mix of elegantly dressed grey-haired couples and hipsters in jeans. Two courses are $55, three are $65, four are $75 (this can be another starter, dessert or cheese).